Hello! 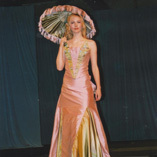 I’m Lisa Cox and thanks for visiting my website. You’re probably wondering who I am and what I’m all about, right? I should probably warn you I kinda go on about my own stuff for a little bit here. The reason being, I write and speak about it but never retell the same story every time… Sometimes I’ll just give people a link to this page which might be how you got here! NB: I sometimes get asked for a succinct professional bio so if that’s what you’re after then scroll to the bottom of the page. I’m an optimistic realistic who knows that gratitude is so much more than a hashtag. I was a copywriter in advertising agencies around Australia for years and absolutely loved it. But then I acquired multiple disabilities (I’ll tell you about that later) and all my plans went out the window. These days I’m a freelance writer and contribute to national and international publications like the Huff Post (formerly The Huffington Post) and The Sydney Morning Hera;d.
I’ve had two books published and also write about observations from my own life, resilience and mindset, body confidence and self-esteem, fluff-free motivation, women’s and disability issues and other topical matters. My blog is here and I’m also a I’m also a public speaker and presenter. If you want more nitty gritty work info, you can always connect with me on LinkedIn. I speak and write about overcoming challenges, failure, resilience and things like that… anyone who does even a minute of work in the personal development industry or has worked as a motivational speaker will have a story or two in their toolkit to share. Well like I mentioned before, my life is anything but stereotypically ‘perfect’ – take my Instagram feed for example. Sure, I love messing around with filters but no matter what filter I use I can’t cover up my wheelchair – and nor would I want to. I firmly believe that we all have challenges but we also have choices. My challenges might look different to yours but often the principles are similar. I never planned to have my world turned upside down, I never planned to be disabled and I never planned to lose a lot (including some body parts!). But I did choose to always make the very best of what I do have. Doing this in your life can make the difference between merely existing and truly living with purpose. I’ve spent many years climbing. At first it was rock climbing in Thailand and then it was climbing my way out of a massive health crisis. I’m still climbing today, failing then trying again – but that’s life! This doesn’t define me but my stories, scars and disabilities are such a huge part of who I am today that I wanted to share it with you in a bit more detail here. Plus, it will give you context to some of my work. I can’t really explain what happened in a sentence except to say “I got really sick and became disabled”. At age 24 I had a brain haemorrhage, like a stroke. It was caused by a nasty infection (Streptococcus-A) and to this day, nobody knows how I contracted it. Before that, life was pretty good. 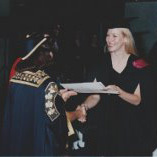 I’d been to university and graduated with two degrees (bachelor of business communications and media), played lots of representative sport, travelled overseas, moved into my own place and after years working in the corporate sector, I had just been promoted in my dream job at an advertising agency. After my brain haemorrhaged at the airport one morning, I spent the next three weeks in a coma and two month on life support. Pneumonia, heart attacks and uncontrollable seizures took hold of my body as all of my organs shut down. Technically, I died twice in hospital but was resuscitated (obviously!) to keep living out a life I loved. My family was told they might have to turn off my life support but then my brain started to recharge and every single cell in my body regenerated. So that was bad but then it got really crazy. I spent over a year in hospital, the first time and underwent over a dozen operations and procedures. This included, heart surgery, the amputation of one leg, all my remaining toes and nine fingertips. I’ve since returned to hospital for a total hip replacement and open heart surgery. The permanent damage to my brain has affected my speech and memory, left me over 25% blind, epileptic and frequently fatigued. Osteoarthritis has set up home in nearly every joint throughout my body as well. I had to hit the restart button on so many areas of my life. At first, it was things like moving, speaking and eating that I had to relearn – even brushing my teeth was a challenge! Then it was bigger things like my career and relationships which all had to be completely re-established. I’m not a victim and I’m not sharing what happened as part of a “poor me” story of woe. But I understand what it’s like to start over, to start with really small goals and go from there. I understand what it’s like to feel different or know that the future seems overwhelming and exciting at the same time. Confidence? Dreaming big and starting small? Motivation? Physical and mental health? Adapting to change? Dealing with challenges? I’ve honestly been there. Is there a little (or big) change you want to make in your life? I’ve worked hard to continue living a life that I absolutely adore. My days are very different now but I still love each one and I want the same for you! Since I hit restart, I’ve had many personal and professional achievements. Learning to write and speak again was just the beginning. I’ve started my own business, written two books, become a professional public Speaker, met and married an amazing man, returned to study, bought my own place and travelled overseas. I’m on a mission to motivate your body and your mind into action. There are things we can control and things we can’t. Let’s focus on what you can control – today. Live without fear of failure and live with genuine gratitude and enthusiasm for every day. Live with the knowledge that challenges are just choices waiting to happen. I know it can be done! Lisa Cox is a multi-awarded writer, presenter and consultant based in Australia. She is also the author of multiple books and has a strong professional background in media. Fused with her life-changing experiences, this has fuelling her mission to muse, educate, challenge convention and broaden our definitions of diversity. Her work has been published nationally and internally for publications like Huff Post and The Sydney Morning Herald.